Persis- Indian Grill is a chain of restaurants that specializes in authentic Hyderabadi Biryani. Here we initiated design interplay of both traditional and modern themes. 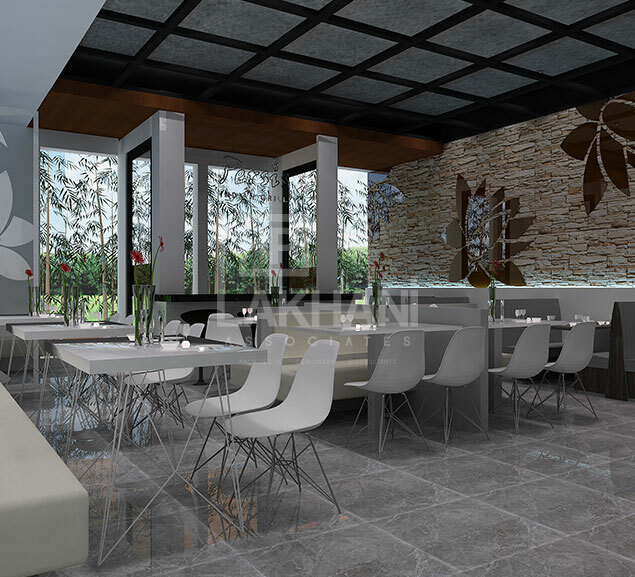 The restaurant comprises of an Express Counter, a fine dining area and banquet halls. The Express is the most popular concept, extending to 2000 sq. ft. and is commonly referred to as the Biryani Corner. 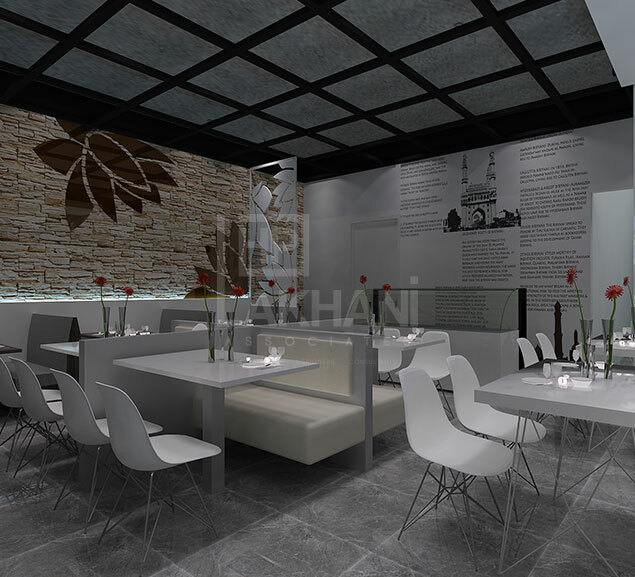 Our prototype design for the Biryani Corner is a present-day space with rustic touches. 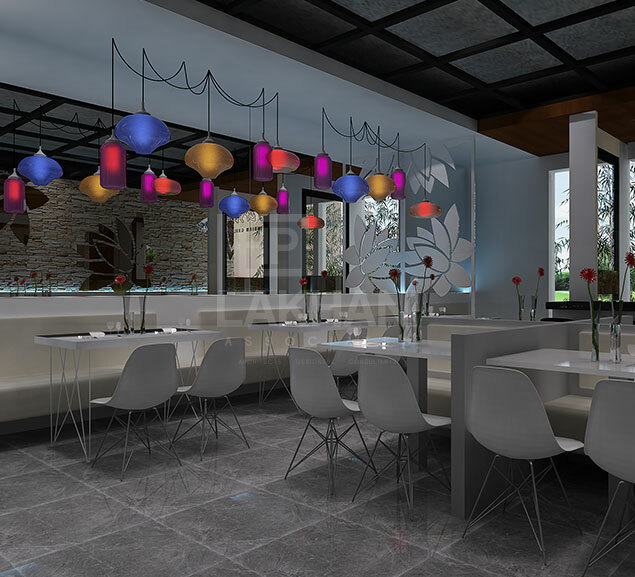 To render an Indian touch and flavour, a Lotus motif has been integrated into the design. The motif treatment varies from sleek to rustic, but very contemporary. We included a thematic, infographic representation of the history of Biryani with highlights of the Hyderabadi influence on this delicacy, thus educating the Americans about this Royal cuisine.